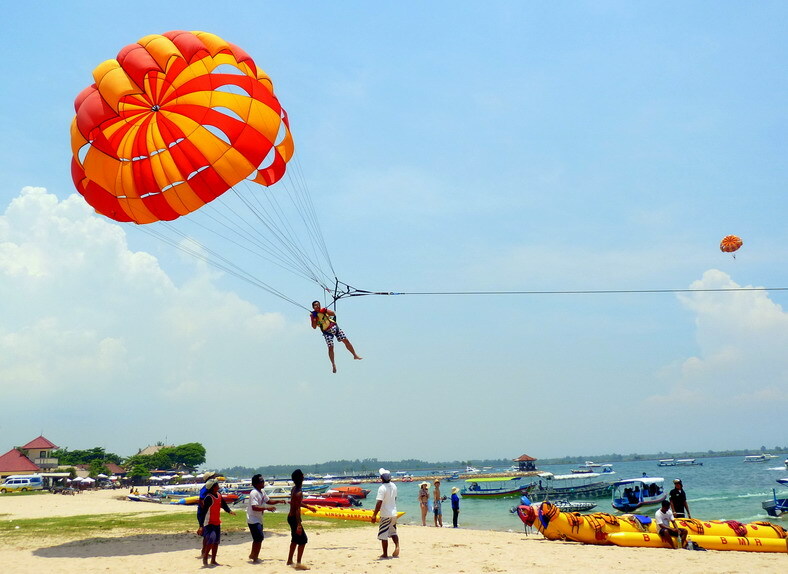 Bali Tour Packages 7 Days and 6 Nights Tours is Tour Itinerary and Arrangement we offer to explore Bali islands within seven days and six nights, is amazing experience to know more Bali has to offer. Is some great experience you will have during your journey to visit this paradise island by choosing these packages. 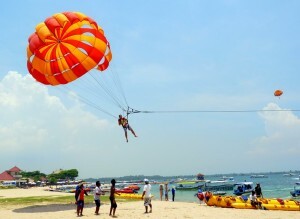 No need to busy for planning the tour holiday, in this packages you can see all tourist destination in different area in Bali. The complete packages to know more about culture, history and do the adventure of water avtivity. Is great choice for those doesnt want to be busy looking which tour the best thing to do during 7days holiday. The itinerary is flexible, you can customised with your own itinerary, let us know which site you want to put in the Bali Tour Packages 7 Days and 6 Nights, we will do our best to tailored your tour request. During the Bali Tour Packages 7 Days and 6 Nights Tours you will be accompanied by our Professional English Speaking Driver with comfortable Private Car. The driver will give his maximum Bali Tour Services to make this trip beyond of your imagination with full of wonderful memory. 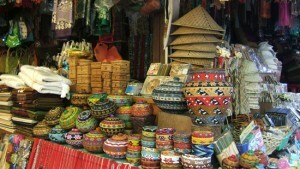 First day in program Bali Tour Packages 7 Days and 6 Nights Tours will start pick up at Airport. Our English Speaking Driver will Pick Up at Airport holding sign with your name, so will be easy for you to find us in airport, just looking sign with your name and our English Speaking Driver will be welcome you with friendly smile and we directly to your hotel for check in. Second day in program Bali Tour Packages 7 Days and 6 Nights Tours we will do the Full Day Ubud Village tour, before start the trip you will enjoy breakfast at hotel first and then our driver will pick up at hotel and we directly start the journey to explore interesting place in Ubud village. Forest visit will be watching the traditional Barong dance performance at batubulan village, is interesting dance with amazing story about fighting good and evil also know as a trance dance. Then we continue to visit Celuk village to see the traditional gold and silver smith which made by local people in this village, then visiting the batuan village for the famous traditional art painting which made by local people, then visiting the hidden waterfall in Ubud which is Tegenungan waterfall, is great moment to see the beautiful scenery at the waterfall. Then we will continue the trip for having lunch at restaurant in Ubud with delicious Indonesian menu. After lunch the day 2 program of Bali Tour Packages 7 Days and 6 Nights Tour will continue to visit the Tegalalang rice terrace in northern ubud, is beautiful rice terrace in small valley, then visiting ubud monkey forest in the center of Ubud and then continue to visit the Ubud royal palace is residential house of Ubud king long time ago and then visiting the Ubud market located opposite if the ubud royal palace, you can see various handicraft where sold here and see the unique local community in market. Then we will go back to hotel with bring a wonderful moment during this tour packages. Fourth day in program Bali Tour Packages 7 Days and 6 Nights Tours is to do the Kintamani Volcano and Tanah Lot Sunset Tour packages, our friendly bali tour driver will pick up at hotel and then we start the journey to visit the gunung kawi temple, is the royal tombs of king family with awesome carving in the stone, then continue the trip to visit the holy spring temple at tampak siring, the name of the temple is Tirta Empul Temple. Then we will directly to visit the kintamani village for see the breathtaking view an active volcano of mount batur and lake batur, after finish admire the view volcano, we will go to restaurant for having lunch with view volcano. After lunch the trip day 4 in program Bali Tour Packages 7 Days and 6 Nights Tours continue to visit the Taman Ayun Temple, is mother temple of mengwi village, the temple surround with big fish ponds make the scenery more awesome. Then we continue the trip to visit the Tanah Lot Temple for see the spectacular temple on the beach and admire the view of sunset on the beach, is great moment you will have in this tour packages. Then we go back to hotel with bring a wonderful memory. 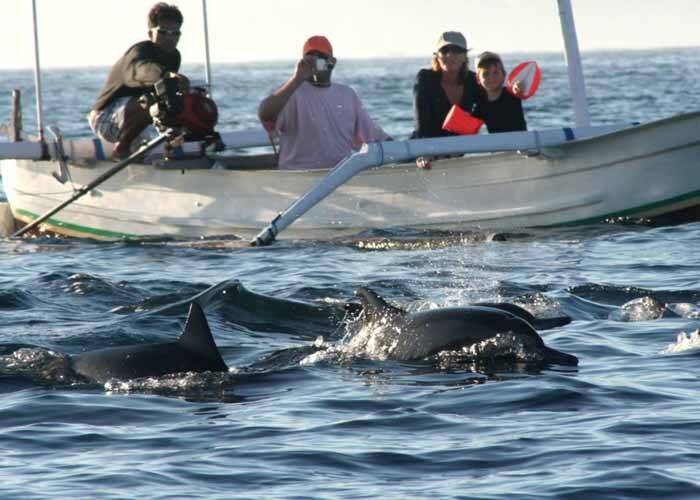 Fifth Day in program Bali Tour Packages 7 Days and 6 Nights Tours is to do the amazing trip for Watching Dolphin in Lovina Beach at Northern Bali islands, is great tour packages to encounter with amazing animal in real habitat. 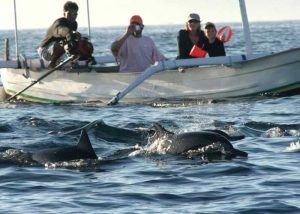 First we will pick up in early morning at 03.30 am and we directly to catch the boat to see the dolphin for 2 hours, our boat man is friendly will give his best services so you can see the dolphin on the beach. After finish watching dolphin the tour continue to visit the Banjar hot water springs to see the natural hot spring in north, and then trip continue to visit the Gitgit waterfall to see the fabulous waterfall with clean water and fresh air, enjoy the moment during the visit at waterfall. Then trip we continue for having lunch Indonesian food with delicious food. After lunch finish the day 5 in program Bali Tour Packages 7 Days and 6 Nights Tour continue to visit last site which is the lake beratan and the ulun danu beratan temple, is beautiful temple in amazing lake. After finish admire the beauty of the temple we go back to hotel with bring amazing moment of encounter with the dolphin in wild life. 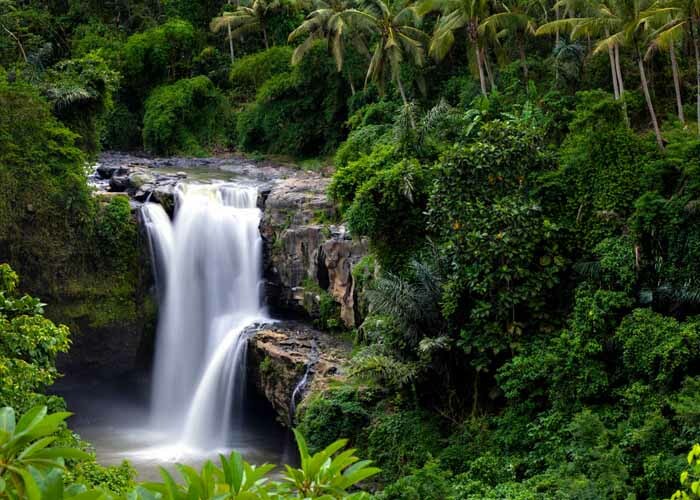 Six day in program Bali Tour Packages 7 Days and 6 Nights Tours is to do the city tour and do the spa packages we offer, is great experience to know more about the tourism site in the capital city if Bali of Denpasar and then continue by do the 2 hours spa and massage. First visit will be visit the biggest traditional market in Bali at Badung Market, see the unique local people do the daily activities in the market, then continue the trip to visit the Bali Musem is museum of Balinese heritage culture, see the culture of Balinese Hindu people long time ago, then continue to visit the Jagatnatha temple, is the biggest temple in denpasar city, use as public worship located in the center of the town. Then we visit the Bajra Sandhi Monument is monument for remembering the Balinese struggle long time ago, the shape of monument is unique . Then we continue the trip for having lunch Indonesian food, after finish lunch we continue the tour for enjoy 2 hours spa and massage, The spa packages we offer consist of 1 hours Balinese massage and 1 hours spa treatments, is great combination spa to make your mind and body refresh and like new born. After the spa finish we will go back to hotel with bring awesome moment. Our English Speaking Driver will pick up you at hotel for the last day of The Bali Tour Packages 7 Days and 6 Nights Tours. We will pick up at hotel based on your flight details and the direction from the places you stay and then we directly to the airport for departure. Please check your stuff and belonging before we go to airport.